The Champlain College Emergent Media Center’s Sandbox team has been selected to showcase their SpaceBox project for alt.ctrl.GDC 2017!!! The Game Developers Conference (GDC) is the world’s largest professional game industry event with over 27,000 attendees. alt.ctrl.GDC is one of GDC’s most acclaimed interactive spaces, an on-site showcase of alternative control schemes and interactions in games that is returning for its fourth year to the conference. 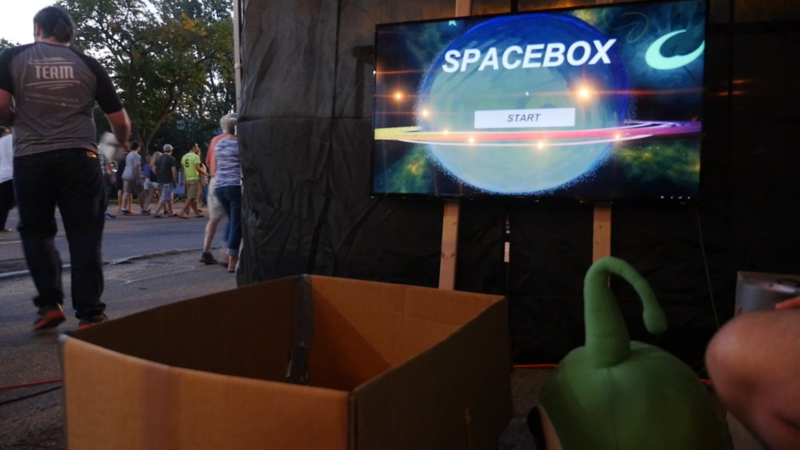 SpaceBox was designed and constructed by an Emergent Media Center (EMC) team of Champlain students mentored by Professor Ken Howell and Terry Sehr, MFA alumni. 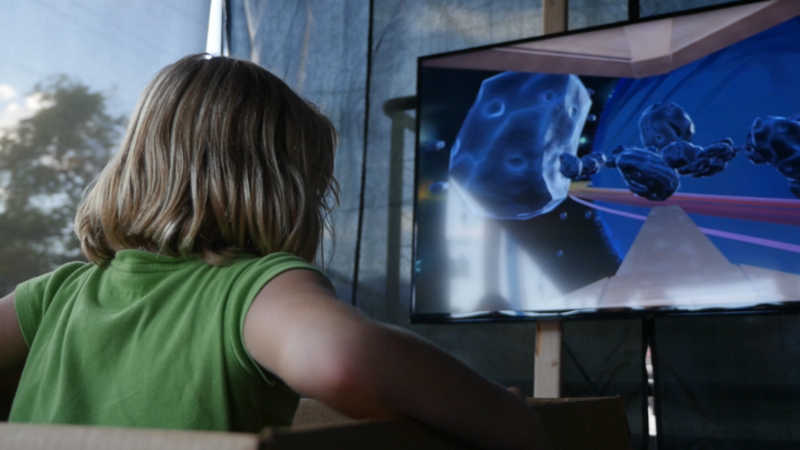 SpaceBox is meant to bring childhood wonder to life, a magical time when we make believe, taking ourselves on any adventure we imagine. 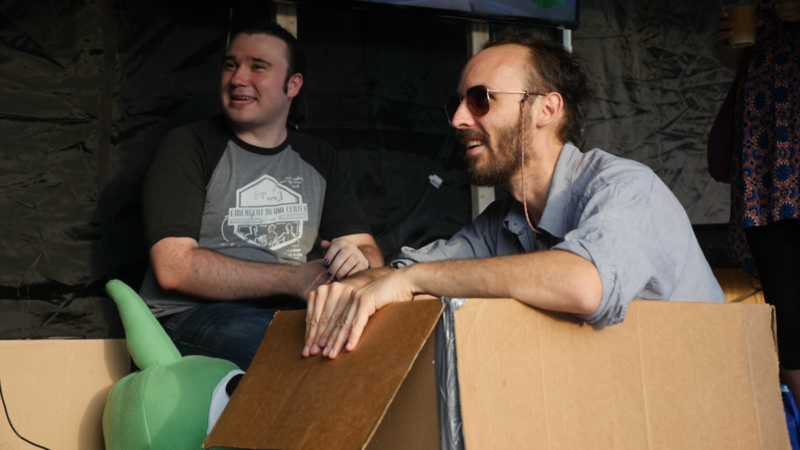 Using an ordinary cardboard box, the team blends reality and imagination. Sitting in the box, you control your character, mimicking child-like play, and going on an outer space adventure! By simply shifting your body, you direct your ship, guiding it through a gauntlet of asteroids towards your goal. To combat enemy fleets in this environment, you can activate a force-field and blaster with the box flaps. This simple, full-body experience captures the essence of imaginative play! Developed using Unity and Arduino. Check out our SpaceBox video here! And read Gamasutra’s article here.